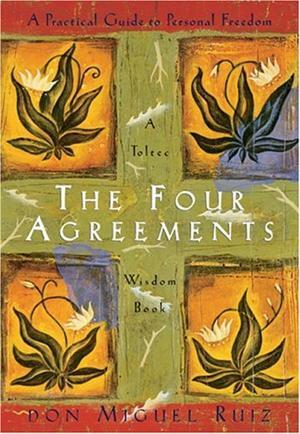 The Four Agreements by Don Miguel Ruiz is another re-read for me. I first read it several years ago and decided to read it again when I stumbled across a motivational poster with the Agreements on it. Don’t use your words against yourself or others. Don’t gossip. Speak with integrity. Use your words in the direction of truth and love. Nothing others do is because of you, it’s a result of their perception of reality. When you are immune to the opinions and actions of others, you won’t be the victim of needless suffering. Ask for clarification and speak up for your needs. Communicate clearly to avoid misunderstanding. Your best will vary day to day depending on your health, mood, levels of stress and other factors. Doing your best, whatever that may be, will free you from self-judgement, self-abuse and regret. This is a gorgeous, uplifting little book. It is a bit goddy for my taste, but as it’s a short book that’s not too much of a problem. Making the four agreements has had a noticeable effect on my experience of life – especially the second one. I would highly recommend this book. This is awesome. That is all. (H/T to Dances with Fat for sharing it). Finish Sacrifice! Yep, that’s basically it for this year. I want to get Sacrifice into a suitable state for sending to agents and I want to do that by the end of August. I’m going to aim for 2000 words a week and that should get me to 75000 words by the end of March, which I think is about right for this novel. That then gives me about four months to finish the editing. Given that the 40000 words I already have been edited a bit, I think four months is a challenging but achievable goal. I went to the British Museum for their Babylon exhibition this week. It was wonderful and very inspiring. Statuephilia is a collection of contemporary sculpture inspired by the exhibits at the BM. 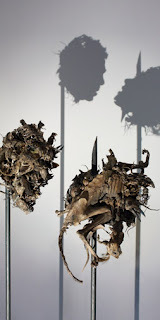 This is my favourite, Dark Stuff by Sue Webster and Tim Noble. It’s really disturbing. Then I had afternoon tea in the Great Court restaurant and worked out the plot for Alexandria. Apparently high blood glucose is beneficial to writing. I do so enjoy being told what I want to hear.